"Information" as an abstract concept has become the most important value of today's companies. While the loss of other business assets of a company is able to be compensated somehow, the loss of information does not have a monetary provision. Therefore, information assets should be carefully protected no matter which format they are kept (printed, digital, etc.). 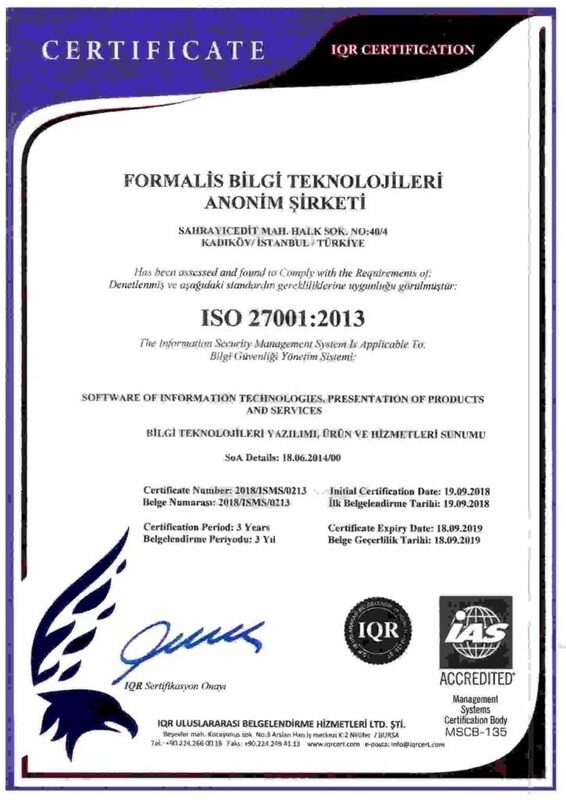 ISO / IEC 27001 is the international information security management standard in which the requirements for a strong information security management system are described in detail and aims to provide the desired security level with the right human resources policies, technical procedures and information technology infrastructures for the protection of information and information assets in organizations through a risk-based approach. According to ISO / IEC 27001, the objective of an information security management system (ISMS-BGYS) is to take appropriate measures to identify, analyze and control corporate risks. Availability: Being accessible to authorized users any time they need. ISO / IEC 27001 Information Security Management System (ISMS) contains the corporate structure, policies, planning activities, responsibilities, practices, procedures, processes and resources. Establishing ISMS consists of several stages. Certification is possible after detailed checks performed by external auditors. It is generally accepted that the institutions holding this certificate have the necessary maturity and awareness to protect their information assets. Ensuring business continuity is considered to be an important criterion in terms of compliance with the laws on information security and data privacy. As Formalis, we are pleased to announce to our esteemed stakeholders that we have renewed this certificate. Regarding GDPR compliance, there are two standards accepted as the indicator of the framework of personal data protection: BS 10012 Personal Information Management System (PIMS) and ISO 27001 Information Security Management System (ISMS). We, as Formalis, hold both of these certifications. The information security of our customers will continue to be our top priority.